The Portable Baptistry Splash Guard stops any wave off the backside of the Baptistry during baptism immersion and helps keep your floor and stage gear safe and dry. 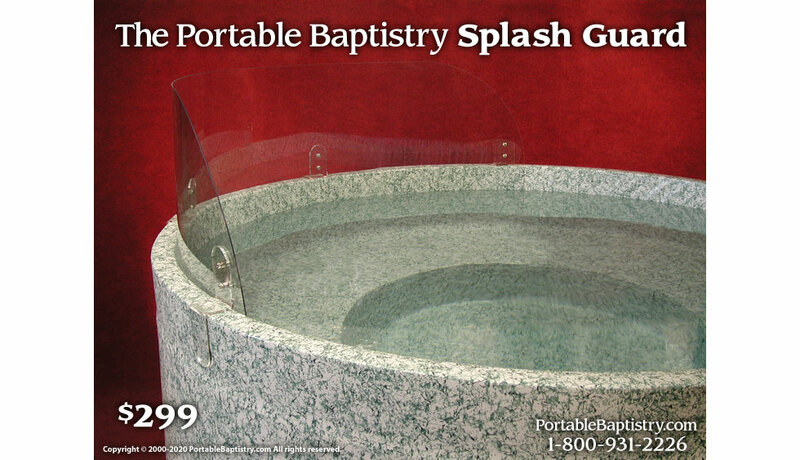 Made of Clear Acrylic, it is virtually transparent, and truly complements the look of the Portable Baptistry. It slides onto the top of the Portable Baptistry wall on the back side requiring no installation, and protects more than one third of the Baptistry circumference.